The News may contain news and other articles that have been sourced from newspapers, magazines and third party web sites. The sources of all such articles have been named and clearly indicated in appropriate places. Except for rights that have been expressly granted to automallindia by the respective authors/ publishers of such articles, automallindia does not claim any other rights in such articles, including copyrights and other intellectual property rights. Such articles have been published on the Web Site for information purposes only and automallindia disclaims any and all liability in connection therewith. A Porsche 911 GT3, ex-Formula 1 racer Narain Karthikeyan and the Buddh International Circuit. This can mean only one thing – we’re after the production car lap record. We bear witness. 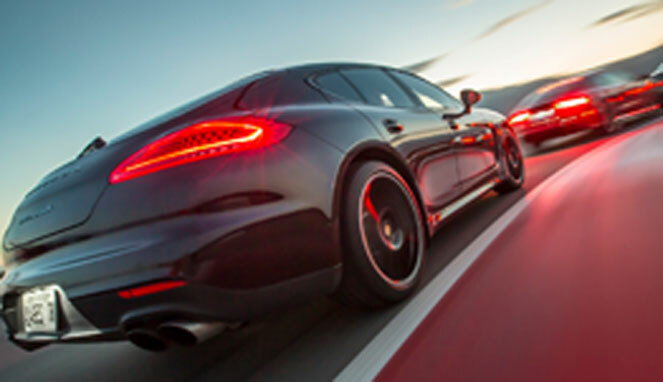 It’s unmistakable – the delicious rasp of the naturally aspirated Porsche flat-six being wound to 9,000rpm. And what makes the ‘OOONNNNNN’ exhaust note sound even better is that, today, it’s bouncing off the empty grandstands and reverberating in my ears. As we approach the pits, the sound gets even louder. And then, as the car flashes past turn 16 – the last one on the circuit – we hear the howl of tortured rubber, too. This is merely the evening before the big day, and officially only a shakedown, but Narain Karthikeyan clearly has his foot planted hard on the gas. And he isn’t letting up in the corners either. Shakedown? Nah, he’s going for it. He may be back at the Buddh International Circuit after a gap of six years and may need to reacquaint himself with the now largely dormant Grand Prix circuit, but let’s not forget, he competed in two Formula 1 races here. In 2011, he even qualified just behind then-teammate (and now multiple race winner) Daniel Ricciardo of Red Bull fame. And he even finished a fair bit ahead of him in the race. But why are we here with a production car? The story starts in 2017, when Mercedes-Benz announced the arrival of the AMG GT R on Indian soil in dramatic fashion –the 585hp supercar set a new production car lap record around the Buddh. The time: 2m09.853s. What helped achieve this was that the man behind the wheel of the GT R was no ordinary test driver – it was Germany’s Christian Hohenadel, the 2010 FIA GT3 European Champion. He finished third in the 2011 GT1 World Championship and even has a second place finish at the 24 hours of Nürburgring. Talk about being qualified for the job. So Narain is aware that breaking the record won’t be easy. The AMG GT R is a quick car, as we saw recently at the Autocar Track Day 2018 (it broke the 2016 911 GT3 RS’ lap record), and beating its lap time will be difficult, because as we have seen around the world, these two cars are quite evenly matched. “I’m betting on my greater knowledge of this quite technical circuit. Places like sector 3, where you can take many lines through the long parabolica (turn 10-11) before you actually find the quickest way. And what should also help is that I know many of the ‘blind’ corners, some of which are really difficult to commit to,” Narain had said earlier. Back in the pit lane, Narain steps out of the GT3, as the flat-six cools down in the background. India’s first Formula 1 driver has a smile on his face. And why not? The timing equipment shows he’s on the pace. And he knows he can step it up and go faster still tomorrow. As the sun rises over the pit lane the next morning, the shift in mood over the previous day is perceptible. Gone is Narain’s playful grin, replaced by a steely stare and quiet determination. Small talk is kept to a minimum. The garage is busy with activity, and every single detail on the car is being looked at – from tyre pressures to vehicle setup. A record run depends on a confluence of several factors – the weather, track temperatures and even the timing of the run are crucial. With even one of those not in your favour, even the most spirited of record attempts can be in vain. There’s a fresh set of track-oriented Michelin Pilot Sport Cup 2 tyres waiting in the garage (incidentally, the same as used by the AMG GT R) but Narain’s decides to stick with the set this car came with from the factory. With mandatory checks by FMSCI (the local motorsport governing body) to make sure the car is stock complete, Narain climbs into the car, stepping over the roll cage, and straps on the six-point harness. Yes, this GT3 – specced with the Clubsport package, which adds a roll cage and a proper racing harness – is a serious piece of kit. At 9:31am, Narain tunes everything out and fires up the engine. On his out lap, he pushes hard to make sure he gets sufficient temperature into the tyres on this nippy morning. What becomes immediately clear is that the record is within his grasp. His laps the previous day have given him some much-needed confidence, and even the warm-up lap is quick. What remains to be seen is just how easily he will break the record, on what lap and by how much. As his out lap winds up, he gets to the end of the 5.4km-long track, makes a sharp ‘V’ instead of a ‘U’ to get the best exit and floors it. We aren’t expecting much – this, after all, is his first hot lap of the day – but on lap 1, he does a 2m08.493s, a full 1.5sec quicker than the Mercedes-AMG GT R! He was dialed in and nailing it from the get-go. There’s more time to be found, according to Narain. So after doing a cool-down lap, he does another hot lap. The record has already been shattered, but he wants that gap widened. Whereas the earlier lap was neat and tidy, he now begins to carry more speed into corners, manhandle the nose of the car and then counter any potential off-line excursions with lightning-quick steering inputs – his right foot still planted. The GT3’s tail comes loose through T3, and he chucks in an armful of opposite lock to keep it neat. He’s more aggressive through sector 3, and then, hey presto, lap 4 is an even quicker 2m08.268s. The best, however, is yet to come. And then he knocks off even more time. He’s done it again: 2m07.629s. What imprints the moment in my memory is that flash of red, as the low-slung 911 crosses the line with the flat-six howling. When Narain pulls into the pits I wonder if he will switch to fresh tyres and head out again in search of more time. But the job is done and the big grin comes back on. What’s incredible is that in just five laps, he has smashed the lap record by a huge 2.2sec. So what was the GT3 like at max attack? “The engine is in the back, so when you accelerate (and transfer weight to the rear), the nose inherently gets light. The GT3, however, has four-wheel steering and this smoothens things out. It gives the driver a lot of confidence, and the best bit is that even a layman can drive it very quickly and get up to almost 90 percent out of it,” says Narain. This record won’t last forever and Narain knows it. “Records are meant to be broken, but watch out,” he says playfully, appearing to have something up his sleeve. He’ll be back for sure but maybe not with his own car the next time. Oh! Didn’t we tell you? This GT3, bought in February this year, is Narain’s own car. As present-day lingo would have it, this is #dailydrivergoals. Your customer here has driven his own car to the track, he’s broken the production car lap record at this Formula 1 circuit and now he will drive home. Isn’t that amazing? I think that’s just incredible. It’s clear Narain believes in Porsche, he believes in his GT3 and that makes me happy. But I must tell you, I also know of many customers who use a 911 on a daily basis. I know one customer who’s done 1,00,000km in his 911, a car he uses every day. Also, from the GT series, I believe the GT3 is the most practical car. Do you see many 911 buyers in India take their cars to the racetrack? A majority of our 911 customers live in close proximity to a racetrack. So yes, they do enjoy track days. But what is worth mentioning is that they also use it as a daily driver, which serves to highlight the 911’s versatility. Norms stipulating standard fitment of safety features – including ABS, a speed alert system, a reverse parking sensor – and compliance with latest crash tests come into force this year. Here’s a fact: India has the highest number of road fatalities in the world. Road accidents in India have claimed 1,47,913 lives in 2017 and left 4,70,975 injured. While the numbers are simply shameful, there is hope that our roads could get a bit safer thanks to the new two-wheeler and four-wheeler safety norms that come into effect in 2019. Read on to know more about them. One really cannot emphasise enough on the usefulness of ABS (Anti-Lock Braking System). The feature prevents the wheels from locking up under hard braking and can be the difference between life and death on the road. By modulating the brakes to prevent a lock-up, the system grants the rider control even in a panic-braking scenario. As per the norms, all new two-wheelers with an engine displacement over 125cc will have to be equipped with ABS by April 1, 2019. Smaller displacement models (with engines up to 125cc) need to have compulsory fitment of the combi-braking system (CBS). While the mandate was already applicable on all new two-wheelers launched after April 1, 2018, it will extend to all existing models in the market starting April 2019. In the run-up to the application of the norms, a few manufacturers have already equipped their existing bikes with either single- or dual-channel ABS, while others are likely to do so in the first three months of 2019. The fitment of ABS was mandatory on all new cars from April 2018 and will become mandatory for all cars on sale (including existing models) from April 2019. Come July 1, 2019, all cars will have to be equipped with a driver-side airbag, a speed warning system, a seatbelt reminder for driver and co-driver, and rear parking sensors as standard. The speed warning system will send out an alert every 60sec above 80kph, and then continuously beep at speeds above 120kph. The system cannot be overridden or turned off and is designed to reduce over-speeding, which has been seen to be the cause of many accidents. Also set to become standard on all cars are reverse sensors. The sensors activate when the reverse gear is engaged and provide an audio/visual warning of any object in the path of the car. Parking sensors mainly help prevent injury to children or collision with low objects that might not be visible by the car’s mirrors. While most premium vehicles come equipped with reverse parking sensors or reversing cameras as part of their standard equipment, reverse sensors, at present, are restricted to a select few models in the budget segments. Another warning sound in the car will be for the front seatbelt reminder. All cars will sound an alarm if both the driver and front passenger are not belted up. The idea is to promote the use of seat belts, which are the most important passive safety aids. A driver-side airbag will also become mandatory on all cars in July. As is widely accepted, airbags can drastically reduce injury in the event of a collision. In conjunction with stronger crash structures required to meet the new crash test norms, the mandatory fitment of a driver-side airbag should bring down the possibility of injuries in the event of a collision. However, it is a shame that the norms mandate only a driver-side airbag and not dual airbags which would have provided enhanced protection to the front-seat occupant as well. Cars with central locking will also require a manual override, by law. In transport vehicles, child locks will not be allowed either. The latter is a sad outcome of cases in which the child-lock feature (that only allows the doors to be opened from the outside) was misused to endanger the safety of women passengers. More stringent requirements for full-frontal impact, offset-frontal impact and lateral/side impact have been brought into force on all cars launched after October 1, 2017. The requirements will expand in scope and will apply to all models on sale in India from October 1, 2019. Likewise, new norms for pedestrian safety (applicable for new models from October 1, 2018) will now cover all new models from 2020. As per the new crash-test requirements, vehicles will be tested for full-frontal impact at 48kph, offset-frontal impact with a fixed deformable barrier at 56kph and side impact with a mobile deformable barrier at 50kph. Many manufacturers will have to heavily re-engineer older models (or even discontinue them entirely) to meet the new norms. In effect, 2019 could be the end of the road for many of the older models in India. At last! We’ve driven the petrol Renault Captur a full year after it was launched. Dark secrets unveiled or is this the ray of sunshine Renault should’ve pushed in the first place? Yeah, it feels strange reviewing a car a full year after it’s been available in the market. So why are we reviewing the petrol Captur now? It’s been on sale since November 2017, so what’s changed? Well, nothing. But it’s been very clear that Renault hasn’t been interested in pushing the petrol Captur. We’re driving it now, simply because the car just entered the media fleet. It still isn’t available in the top-spec Platine variant, and the Duster with the same engine gets an automatic transmission while this doesn’t. It seems like Renault offers it mainly to give it a strong price hook. Our birdies say the petrol Captur won’t get Renault the same sales margin-per-unit as the diesel. But enough chatter, we’re driving the Captur petrol to see what it’s like to use and understand one thing - did Renault place its bets on the wrong Captur? The ride quality and handling characteristics are just as good as they are in the diesel version. But what you notice immediately is that this feels so much nicer as a city car. Delivering 106PS of power and 142Nm of torque, this engine sets no benchmarks when it comes to raw output. Alternatives like the Hyundai Creta petrol (123PS/151Nm) and Ford EcoSport S (125PS/170Nm) offer more grunt and, on first impressions, they feel livelier too. But it takes a kilometre or two to fall in love with how relaxed and easy going the Captur petrol is as a city car. The sheer refinement is what gets you first. Think Honda City i-VTEC but better. How? There’s barely any sound at start up but on the move, it’s the cabin insulation that makes it feel even more polished than the fabled Honda engine. Barely any vibes either and altogether, a stark contrast to the experience in the diesel. What makes this an even better city car is the low-rev driveability. On paper, the diesel motor makes more torque than this and earlier in the rev range. But the H4K petrol engine is naturally-aspirated and doesn’t have to deal with the crippling turbo-lag of the 110PS DCi. Go over a speed breaker at 15kmph in third gear, lightly tap the throttle and it picks up speed nice and easy. In a similar scenario, the diesel would shudder and revolt to get you to downshift. And when you do press the clutch before said downshift, the diesel’s pedal feels far too heavy. In comparison, the lighter weight of the Captur petrol’s pedal makes it easy to use in heavy traffic. The mid-range performance is usable too. Say you hit some highway traffic and drop down from 80kmph to 50kmph while staying in 5th gear (the top ratio). Press the throttle and you gain the next 25-30kmph with ease. Not in a manner you’d call impatient or exciting but adequate. 30-80kmph in third gear takes 11.38 seconds; 3.6 seconds slower than the diesel. The difference isn’t as stark in the 0-100kmph sprint, with the petrol taking 14.33 seconds versus the diesel Captur’s 13.24 seconds. Blame it on the latter’s turbo-lag. But it’s not all roses and hugs. There are some drawbacks. First, there’s no CVT. So, automatically (pun intended) it loses an edge when it comes to urban commutes. The next issue pinches your pocket, as it isn’t particularly fuel efficient. We managed to eke out 10.73kmpl in the city (expect this to drop to single digits in peak hour traffic) and 15.79kmpl on the highway, which is a fair bit lower than the diesel (city/highway = 15.50kmpl/21.10kmpl). Importantly, this cannot hold a candle to the diesel when it come to touring. For one, it only gets a 5-speed manual gearbox. This is fine in the city but on the highway, it’s revving quite high - 3100rpm in fifth gear at 100kph. For reference, the 1.2-litre Honda Jazz petrol does the same speed at 3250rpm in top gear. The Captur petrol deserves a 6-speed gearbox. Not only to make highway drives more relaxed, but also more efficient. Finally, the diesel engine’s lag is annoying, but that’s until you’ve adapted to it. Once you do, much like it is in the S-Cross 1.6, you start enjoying the turbo kick. Post the boost, the Captur diesel feels like a rocket and high speed overtakes are a blink of the eye affair. It’s a truly exciting car and indeed, gives you some serious punch for the money. So while the Captur petrol isn't lacking for power, it isn't nearly as thrilling to drive as the diesel either. Since the Captur petrol isn’t available in the top-spec Platine grade, the fully-loaded version is the RxT. What do you miss out on and does it look incomplete? Answering the second question first: no. Even the base Renault Captur looks good enough to drive straight home and the RxT does get some nice features. These include projector headlamps and DRLs, LED front fog lights, 17-inch alloys, a touchscreen infotainment system with navigation, auto AC with rear AC vents, and more. Safety tech like dual front airbags, ABS with EBD, ISOFIX child seat anchors and rear washer/wiper/defogger come as standard too. So what do you miss out on? The smaller things include the diesel-exclusive ECO mode, leather for the driver’s armrest, floating indicators and other touches like cornering fog lights and illuminated front cupholders. The bigger misses are the Platine-exclusive side airbags, ESC, hill-start assist, full-LED headlights and leather upholstery. It’s not that Renault placed its bets on the wrong Captur. However, Renault could’ve targeted different kinds of buyers by promoting both engine options on an equal standing. As a city car, the petrol is easier to live with than the diesel. So much so that the efficiency penalty seems like a very reasonable trade-off. No doubt, the CVT really should be an option too and we have a hunch that it will cut the mileage concerns further. The diesel makes more sense for those with extensive highway usage and those who like to go touring. When you consider the price - Rs 9.99 lakh - Rs 11.46 lakh (ex-showroom Delhi) - the discounts you can push for on top of that, the number of features you get for the money, the hassle free drive and how attention grabbing this thing’s styling is, the Renault Captur petrol does make a lot of sense. It’s a car we’d gladly recommend buying. We drive Nissan’s answer to the Hyundai Creta to find out if it’s a viable option. Nissan’s made-for-India Kicks is finally here. Based on a more robust chassis, this version of the Kicks has more ground clearance, a more SUV-like stance and a thoroughly updated interior. It also comes with tried-and-tested mechanical bits, is feature-rich, and, on first impression, looks like a strong challenger to the bestselling and currently undisputed segment-leader – the Hyundai Creta. While the Kicks in most other markets around the world is based on the same platform as the Micra, this one inherits the Duster’s tough DNA, and is based on an updated version of the M0 platform that also underpins the Renault Captur. However, like the Duster, the Kicks has a proper SUV stance with its tall upright cabin, a flat bonnet and tough body cladding, all of which give it a beefy, macho appearance. What has also helped is that a lot of the design work and final detailing has been carried out in India and, truth be told, the designers have managed to blend the edgy detailing and robust architecture quite nicely. Design elements like the sleek projector headlamps that flank the signature V-shaped grille, the sharp cuts on the flanks, the boomerang-shaped tail-lamps, the 17-inch diamond-cut alloys and the roof rails, all work well. And so do the blacked-out pillars, which along with the two-tone orange and silver paint scheme are a unique combination. In terms of size, the Kicks is also larger than the Creta in every dimension. It is also 55mm longer and 32mm taller than the Captur. Nissan seems to have gone the distance to lift the appeal of the interiors. The chocolate brown leather cladding on the dash gets white contrast stitching, the door pads are beautifully finished, there are brushed silver accents and you even get quilting on the leather seats that lend a premium touch. What really gets your attention, however, is the new 8.0-inch floating touchscreen that not only looks good, but is smooth, slick and performs well. Also attractive are the ‘butterfly-type’ meters that flank the digital speedometer and then there’s the steering that’s nicely built too. The dummy buttons on the steering wheel, however, are quite an eye sore and the fuel gauge looks unusually large as well. Also, on closer inspection, you can see a few hard plastics in not-so-important places and some carryover bits from its siblings have been included, ergonomic flaws intact – stuff like an elbow rest that sometimes fouls your elbow when you change gear, a narrow but deep glovebox and the seats that are placed a bit too high. In addition, there aren’t any cupholders in the central console, there’s no elbow box and, in this era of smartphones, there’s just one USB slot. The saving grace here, however, are the door pockets that are large and easily hold 1-litre bottles. The upright seating position means visibility is good; the front seats are broad and accommodating and there’s more lateral support on these very comfy cross-stitched leather seats. While there’s plenty of seat adjustment, the steering only adjusts for rake, and not reach. Also missing, is a dead pedal, and space in the footwell is compromised due to the protruding centre console. Getting into the rear is quite easy thanks to doors that open wide. There’s a reasonable amount of space in the back, and while the dark interiors make it look smaller than it is, there’s plenty of headroom and adequate kneeroom. What is also nice is that even a third passenger wouldn’t feel unwelcome here thanks to the adequate seat width and an almost flat floor. And another nice touch is the dual-operable parcel shelf that can be opened from inside to access the large 400-litre boot. Nissan has included some segment-first kit like a 360-degree camera, leather dashboard inserts, and an Eco driving mode. The features list includes 17-inch alloys, four airbags, cruise control, auto LED projector headlamps, cornering lights, climate control, hill-hold assist, vehicle dynamic control, rain-sensing wipers and a digital speedometer, amongst others. It does, however, miss out kit like a sunroof, curtain airbags and wireless phone charging, many of which are available in the recently launched Hyundai Creta facelift. The Nissan shares its powertrains with the Duster and Captur, so it gets a 1.5-litre diesel mated to a 6-speed manual and a 1.5-litre petrol mated to a 5-speed manual (not tested here). There are currently no automatic options. The diesel engine is the familiar 110hp K9K motor that makes 240Nm of torque and here its character remains largely unchanged. As before, it’s a bit rough at idle but smoothens out once it starts spinning faster. There is a fair bit of turbo lag below 2,000rpm and at low speeds there is a fair amount of clatter too. Turbo lag, however, is a bit less than on the Duster or Captur and as the engine is eager to rev it rewards drivers with its meaty mid-range performance once the turbo starts singing. It’s at its strongest between 2,100-4,000rpm, so remain in its powerband and overtaking on the highways is rather effortless and performance is strong. What’s also nice is that this engine feels smooth and jerk-free at low speeds and neither the clutch nor the gears are cumbersome to use. The steering is a bit weighty at parking speeds, but it lightens up as soon as you start to move. What’s also quite impressive is the manner in which it rides. Happen to miss a speed bump or a pothole at speeds, no problem – the Kicks simply takes it in its stride, only tossing your mildly, no big crash from the suspension; and the ride remains composed and settled at speed, too. Even at low speed it does its best to keep road shocks to a minimum. Then there’s the handling, which is neat and tidy too. The turn-in is quite sharp, especially at speed, and this means you need a steady hand on the wheel, and there is some body roll too, but straightline stability is good and it does have a fair amount of grip around corners. The body roll is well-contained and the brakes give you a fair amount of confidence too. The Kicks does many things right. It is robust and it portrays a sense of toughness, it rides and handles well, the diesel engine has more than enough grunt and the interior is both well-built and generously equipped. Yes, the diesel engine is a bit gruff, there are a few ergonomic issues in the cabin and there’s no automatic option. Still, if Nissan prices it well, it could finally have a strong contender on hand – one that can truly offer a credible alternative to the Creta. Toyota will launch the all-new Camry Hybrid in January. We go down to Thailand to get a first drive of the tech marvel headed here. 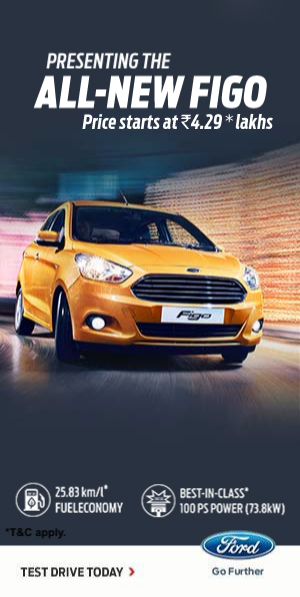 New cars, that’s what we are all about, here at Autocar India. Often, however, new cars aren’t strictly new. This is because, in today’s world, the term ‘new car’ can be stretched and distorted sufficiently to accommodate even cars that have just been majorly updated. A new bonnet, a new nose a new interior, new tail and, hey presto, it is an all-new car. But is it any wonder that carmakers do this? The cost of development gets halved, the already-stretched engineering department saves years and years of development time, and then evolving and working with an entity you already know is much easier the second time around. Clever. The car I’m sitting behind the wheel of, however, is clearly new – of this, I have no doubt. No, the new Camry hasn’t suddenly turned into a corner-carving BMW 5-series, and nor has Sport mode turned it into a track star. It’s just that this new car feels so much ‘tighter’ and so much more comfortable at speed, even at first acquaintance, it’s clearly a big step ahead in driving manners. Where the previous-gen car felt like the chassis was made of tightly bound spaghetti, and it flexed and squirmed every time it was presented a challenging situation, this new car feels so sure-footed and confident, it’s truly bodes well for Toyota’s all-new TNGA platform. But is it really as good as this brief first impression? I have to get more of this. As luck would have it, I stumble on the perfect road, an as-yet-unopened section of elevated freeway that snakes and weaves its way through some suburbs near Bangkok’s Suvarnabhumi Airport. Yes, there is some light traffic on the first bit due to an early off-ramp, but after that the road just goes on and on. Lap one is more a voyage of discovery, an exercise in restrain; I don’t want to run into a carelessly discarded concrete block around a blind corner. So I tippy-toe through the tighter bits, and don’t carry much speed at all. But again, the car feels so much nicer to drive, even at these speeds. The steering has more weight in ‘Sport’, it actually feels like it is connected to the front wheels (finally), and some communication even filters through to my fingers when the front wheels load up in a corner. Yes, it does roll when I go faster and it does feel like it is 5m long, but, there’s plenty of grip and the Camry just hangs on gamely, even when I start to push harder. Wow. Just how has Toyota managed to take such a massive leap forward? Well, to begin with, the torsional rigidity of the car has gone up by a huge 30 percent on this new TNGA platform. The company has even dipped into its deep pockets and pulled out enough money to pay for an independent rear suspension. The steering system has clearly been designed with drivers in mind. There’s sufficient grunt from under the bonnet as well. In ‘Sport’, combined power from the petrol-and-electric hybrid powertrain is 211hp, and this comes flooding in when I lean hard on the right pedal. You first get a serious hit of torque from the electric motor, the 2.5-litre motor seems to have a nice strong mid-range and though there’s no tachometer and the eCVT automatic isn’t the sportiest gearbox around, the Camry even accelerates hard all the way to redline if you use the paddles behind the steering wheel. And while performance isn’t huge, it still is brisk; expect a 0-100 time of around 10sec. Also, please remember, this new car will deliver between 16-18kpl, even in real-world conditions. The previous Camry was all about comfort, while this new car rides extremely well too. In fact, over bad roads, where the previous-gen car would get tossed around a bit, this one feels much more absorbent and much less reactive. It even rounds off bumps better, taking the edge off nicely. Even the brakes are very reassuring; there’s plenty of bite earlier on, and when you squeeze harder, retardation increases in a linear manner. It’s just that at low speeds, in start-stop traffic, the brakes tend to grab a bit, making you unnecessarily pay more attention to them. We hit a patch of traffic; and it’s here that the new Camry finally begins to run in pure EV mode. It has a less powerful e-motor, but truth be told, I can’t tell the difference. What I do notice is that the car is even more silent and refined. Insulation is significantly better, there’s no real whine from the motor, and when the engine finally does kick in, the integration of the two powertrains is much more seamless. When traffic is light, I quite enjoy driving in this mode. The torque from the motor makes cruising along feel effortless and there’s even enough grunt to overtake with just a tap on the accelerator. Unfortunately, the Camry’s pure-EV range is negligible. While weekend warriors are sure to enjoy driving the new Camry more than the current version, in India, this new car will be more about travel in the rear. So eventually I stop, jump out and get into the back. Here, I’m once again impressed by the reclining rear seat, super lower-back support and width of the cabin. The seat is placed a bit low, but once I stretch out, comfort levels are quite high. There’s even a good amount of support for your thighs and the seat cushioning seems just right; not too hard, not too soft. What I also really like is that the elbow rest has a screen and feather-touch controls. From here, you can control the rear air-con, the seat-recline function and the audio system. And, as earlier, you can electrically adjust the front passenger seat for more legroom too. The new Camry also has an electrically operated rear sunblind, manual side blinds and a pair of conveniently located USB ports below the rear air-con vents. Legroom is a bit more than the current car’s, but there’s still no competing with the Skoda Superb, which clearly seemsto have been engineered with basketball players in mind. The seats up front are even more comfortable. Built on massive frames, good enough to keep most XXXL-size American drivers comfortable, they offer fantastic support for the upper and lower back, and good shoulder and thigh support as well. The seats are also cooled, and finding a comfy driving position is also easy as the power-adjustable steering has a wide range of adjustment. What also helps is that visibility has been improved. The A-pillar has been made slimmer, the side mirrors have been moved to the door and, as a result, the blind spot is much reduced now. The layout of the dash, however, is typically Toyota – and, truth be told, a bit boring. The touchscreen and the buttons around it work well, as do the buttons and knobs. But we’ve seen this theme on so many Toyotas, a degree of fatigue has set in now. And while the touchscreen works well, the interface is outdated. A software upgrade is long overdue here. There is, however, a nicely executed colour screen in between the dials, and what’s impressive is that the driver gets a head-up display. Quality levels on the inside are clearly improved as well. The doorpads are solidly constructed, the buttons and switches on the steering have a quality feel to them, the gear lever and its leather shroud are beautifully put together too. There’s even a feeling of solidity in the cabin. This is especially true of the leather-covered lower half of the dash and the vents that feel built to last. Even the door shut is quite impressive. However, some plastics, like the buttons on the right of the steering wheel and the cupholders, aren’t impressive and I’m not a big fan of the faux-whitewood finish, either. The Camry in this HV Premium trim comes loaded with kit. Not all of it will be available to buyers in India, as the focus will be more on rear-seat passengers, but you can expect it to come with paddleshifters, wireless charging, a sunroof, traction control, stability control (ESC) and brake assist. The car in Bangkok also gets cross-traffic alert at the rear (it helps you reverse out of a parking lot safely), blind-spot monitoring, dynamic radar cruise control, lane-keeping assist and even pre-collision brake intervention. It also comes with phone-based features like geo-fencing (that sounds an alert if your car goes out of a pre-designated area), parking alert, Find My Car, vehicle tracking, and in-car WiFi. Nicer to drive, more comfortable to sit in, more efficient, and blessed with Toyota’s halo of reliability and dependability; thenew TNGA-based Camry Hybrid has a lot going for it. Toyota is set to launch the new Camry here in January at an expected price of Rs 39 lakh. This high price is sure to limit appeal. What a shame that FAME 2.0 – the scheme in support of hybrid cars – never really took off.